Thanks for tuning in for another guest author interview! This week’s interview is with a talented author. I’ve been getting a lot of positive feedback on my guest interviews so I’m glad you all are enjoying them. If you know of any authors (or other writing/publishing people) you’d like to see interviewed just let me know and I will do my best to get them to join me here on my blog! So without further ado, let’s get this party started! Hey Corbin, thanks so much for joining me today, can you please start by telling my readers a little about yourself? My name is Corbin Coltrane. I’ve been writing nearly all my life, but only recently have I decided to write novels. I have one published and available on Amazon and another on the way. I grew up reading the action / adventure books of Clive Cussler and knew that one day I would write my own thrilling novel. I currently live on the beautiful Jersey Shore although I have spent some time living and traveling to other places around the world including Europe, Scandinavia, Asia, and South America. Sounds like you’ve traveled to some very exciting places! I read on your website that you were a very adventurous person and you’ve done a lot of interesting things. (I’m totally jealous you got to work on a movie that Harrison Ford starred in FTR I’m a huge fan of his! We have the same birthday. Sorry for that fangirl digression. haha) With everything you’ve got going on in your life, what made you decide to add “write a book” to your to-do list? I have had and continue to have an adventurous lifestyle (although I’ve slowed down a bit now that I am a father of two precious boys), but I value the many experiences I’ve had and use my unique perspective on life to influence and drive my writing. Working as a consultant on the set of Paranoia with Harrison Ford, Liam Hemsworth, and Gary Oldman was one of those experiences that have had a profound impact on me. It was actually what motivated me to finish my novel. The movie Paranoia is actually based on the bestselling novel of the same name by Joseph Finder. I met Joe after filming ended at Thrillerfest in New York City and he encouraged me to keep writing and publish my book. Both he and Harrison were great mentors and I probably wouldn’t have continued writing if it were not for them. But seriously, writing a book is a daunting task. And among everything else you’ve accomplished you are also the #1 bestselling author of Entanglement: An International Spy Thriller. Can you tell my readers a little about it? “Dr. Shane Somers is a 28 year old physicist and engineer who develops a new form of telecommunications based on Albert Einstein’s theory of Quantum Entanglement. His new invention makes the fastest internet connection look like the Pony Express by comparison and could be worth hundreds of billions of dollars if brought to market. Meanwhile, China’s top secret agent is determined to acquire the technology for Mr. Chu, the ruthless owner of Chu Industries, a network of over-sized factories in China known for their disregard of the environment and inhumane treatment of its employees. Magnus Gunnarsson, Shane’s long time best friend and former high school rival, pays Shane a visit after not seeing him for several years. Magnus informs him that he now works for TAG, an organization that doesn’t officially exist, but has the mission of countering international corporate espionage while also acquiring new forms of technology for the United States in the name of national security. My inner nerd got super excited when I got to ‘Quantum Entanglement!’ The plot also sounds very intriguing and suspenseful. Now, is this your first published work? Was it published traditionally or did you self-publish? I wanted to get it out there, in reader’s hands, as quickly as possible. Self-publishing, even though it is still relatively new, is most definitely the future of book publishing and I wanted to ride that wave. It is relatively new, and more and more authors are choosing to go that route but I’ve also heard that it’s a difficult path to take. Most writers don’t have the contacts or resources of a large publishing house which leaves the production and marketing burden to fall entirely on the writer. And I’ve also heard that it’s hard to get a foot in the door with reviewers. What were some of the obstacles you faced when you were first getting started? Time, of course. Isn’t it every writer’s worst enemy? I have a very busy life, a day job, and two very clever, active boys that keep me on the go. So, I had to just make the time. Early mornings before everyone wakes up, writing during my lunch break, late nights… whenever I had a minute or two I would write. Ah yes, I’m all too familiar with the juggling act of time management. Well, you’ve managed to overcome this burden by not only finishing your book but you’ve also had great success with your novel. What would you say attributed the most to this triumph? I truly think the nature of my book is the reason for my success. I didn’t take myself too seriously and you shouldn’t either when you read my book. It is gritty and intense at times, but is also fun and light-hearted. It has tons of action scenes as well that keep you flipping the pages. Before you know it, the book is over and, if I did my job right, you’ll close the book with a smile on your face. I think having those light moments in an intense book can really help. I know when I’m reading sometimes I just want a moment to catch my breath but I don’t want to stop reading! Good elements make for a good read, but it can still be hard to get a book onto the reader’s radar in the first place. Did you have help marketing your book in order to build some momentum? I’m on Twitter a lot and I find it to be a great way to promote your book. I’ve also joined many Facebook Author groups and I’ve been interviewed for blogs, newspapers, and websites. I also like to run free promotions once in a while to keep the buzz going. Other than that, I let the book self itself. Well from those of us who have blogs that do interviews, we are very grateful for you allowing us to interview you! 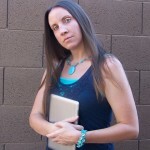 My blog is about giving people a behind the scenes look at the writing and publishing process. I think it might be interesting to those who don’t write to get a glimpse of what all it takes to make a book happen. I also think it’s helpful to other writers who are looking to write and publish their own books. I love helping other writers out, that’s why I started doing these author interviews. So one question I like to ask a lot is, what is one thing you wish you had known before you published? That the real hard work comes after you are finished writing. Being on my 7th or 8th round of edits on just my query letter, I would have to agree with you! I always thought writing a book was the difficult part and that once I was done it would be all downhill from there. But you are so right, the editing can be brutal and then getting your book out there is not easy. As we wrap up this interview, what advice would you give to my readers who are hoping to attain similar success in the field of writing? I would recommend that you write what you love and don’t be afraid to follow your own path instead of sticking with the hard and fast rules of established writing. In a sea of sameness, your unique twist will be what sets you apart from the rest. Very good advice. Thank you so much for your time, just one more thing, can you please tell my readers where they can go to check out your award winning book? Read more about Entanglement here. Sadly our time is once again up for this weeks’ guest interview. Thank you for joining us and Corbin, thank you once again for taking the time to be here with us. I hope you all are enjoying these author interviews as much as I am!